Mechanical Packs : The MODRATEC Shop, Send the right signals! 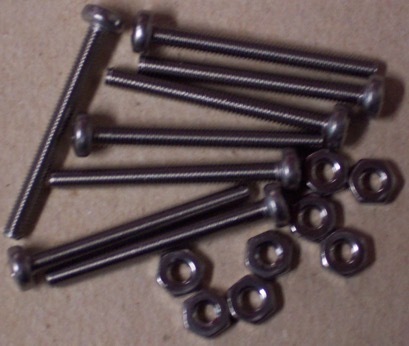 Convenient packs of mechanical components of use in general railway modelling. 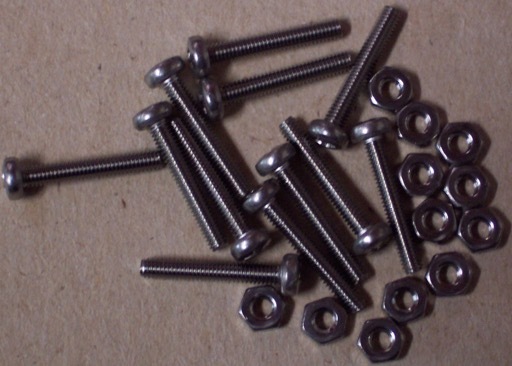 A convenient pack of M3 brass screws and nuts. 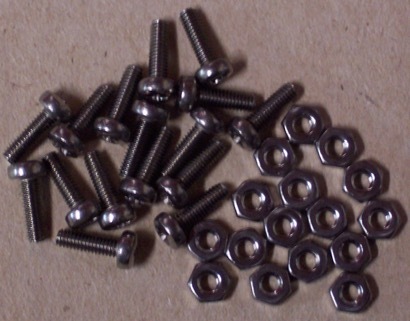 The screws are pan head with slot. The thread form is metric coarse M3x0.5. The nuts are hexagonal.